Girl Meets World Season 3 premieres this Friday, June 3 with part one to the two-part opener. The second episode premieres on Sunday, June 5. While we wait for its big season 3 debu.t after ending on a cliffhanger leaving the audience to ponder about the Riley-Lucas-Maya triangle, we thought it’d be best if we took our mind off that and list some of the top Girl Meets World episodes so far, in no particular order. By far, one of my favorite episodes of any season. I’m pretty sure I watched this five times and I still tear up every single time. Creator Michael Jacob stayed true to the Boy Meets World theme of touching on relevant topics that almost every tween faces. In this case, cyberbullying. Corey Matthews assigns his students to forgive someone in their life. After alluding to Maya’s father all season, Riley does what she thinks is best and brings Maya to face him for a chance for forgiveness after he abandoned her and her mother at a young age. This is not a task easy for all, including Maya who seems fearless when it comes to any situation. Middle school is winding down for the four best friends, and Riley takes it upon herself to be the first to embrace change. The first thing to change? The legendary bay window which is Maya and Riley’s “safe place.” The episode introduces the audience to how the two best friends met and how long their friendship continues to last in the future. It’s a beautiful story of life and holding on to treasured friendships no matter what you go through. This is the first episode where the audience gets a better understanding of how similar Maya Hart’s character is to Shawn Matthews from Boy Meets World. Just like Shawn, Maya has a very complicated relationship with her single parent, Katy Hart, who only wants the best for Maya. Even if that means sacrificing everything she wanted to do in life and distancing herself from Maya just to make her daughter happy. 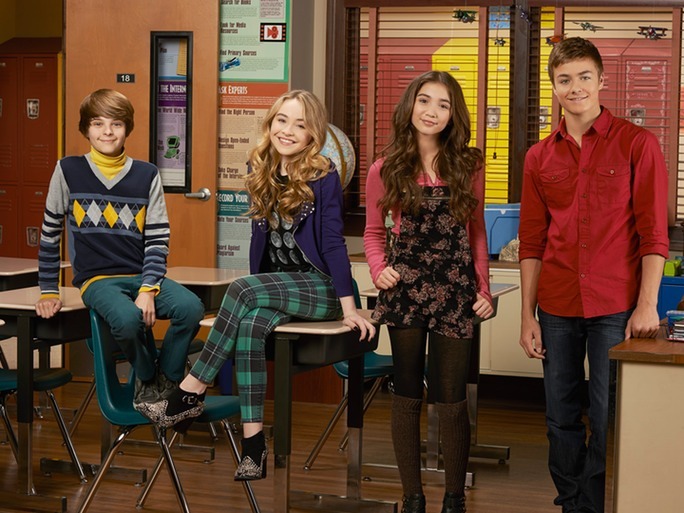 Riley, Maya, Farkle and Lucas along with the rest of their class are given an assignment to take on the roles of “the forgotten,” which includes the lunch lady or even the janitor, Harley Keiner. Yes, the Harley Keiner, you baboon! The students learn how important it is to appreciate everyone in your life, even the people you don’t realize care more about you than you know. After given a science experiment that ultimately split the girls from the boys, Riley takes a stand against the sexism. Having followed Rowan Blanchard for quite sometime, this was an important topic to cover on her behalf to help encourage young girls that they should never be seen as subordinate to boys especially when it comes to reaching their full potential. Corey Matthews’ brother, Eric Matthews, decides to run for Senate with the help of Riley and her friends to run his campaign. This episode helped prove that the younger generation has an equal amount of impact than any other person in the world. The best part? When an unexpected character from Eric’s past stands up to defend his credibility. Tears, everyone. Tears. Next ArticleTYF Column: What Are We Reading?